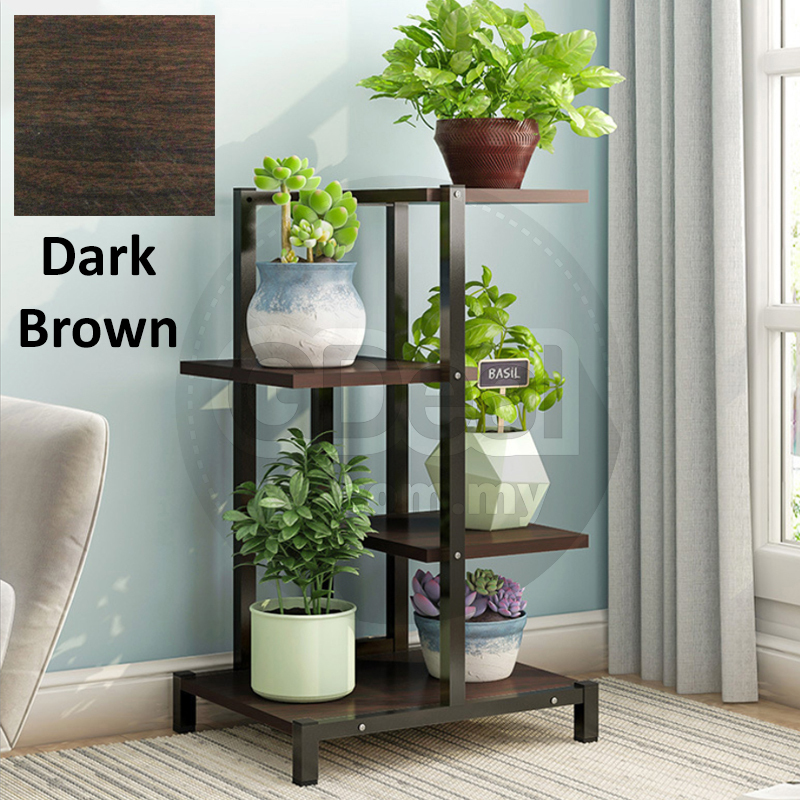 This wood and iron shelf is a wonderful way to bring a rustic feel into your home. 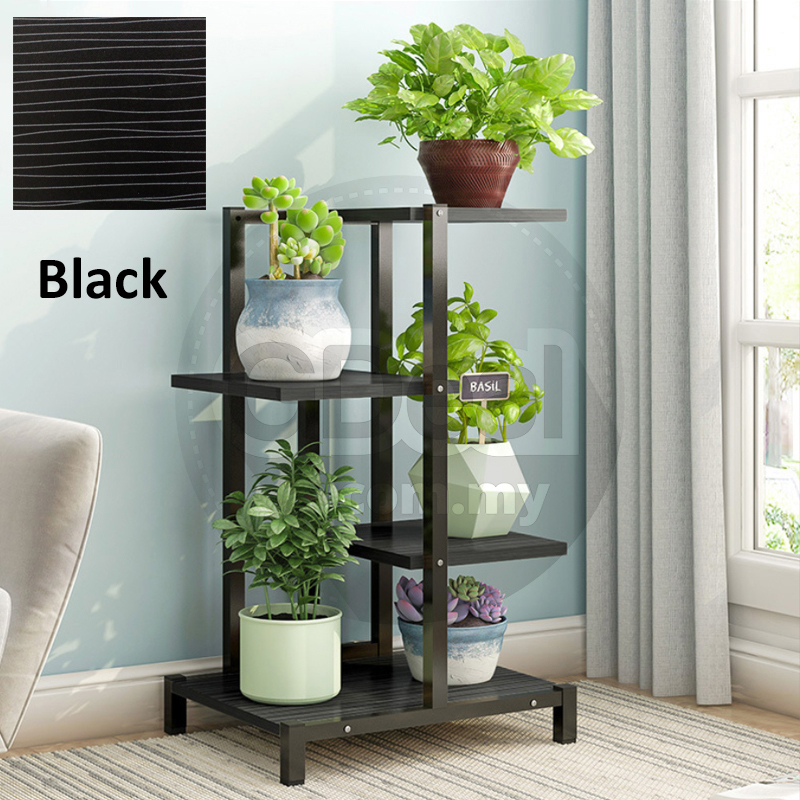 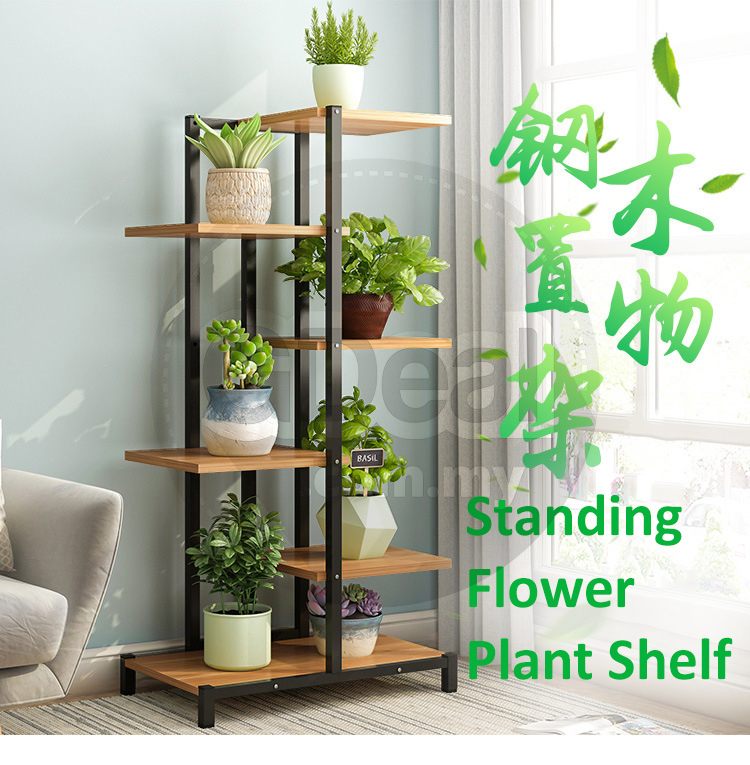 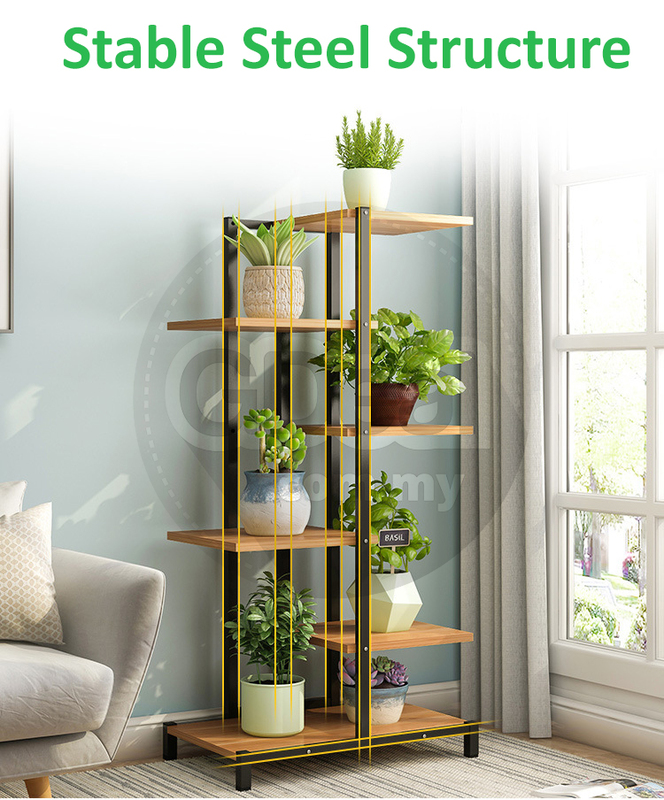 You can adorn this shelf with anything you want, from plant to bookcase to statues of your favorite super hero. 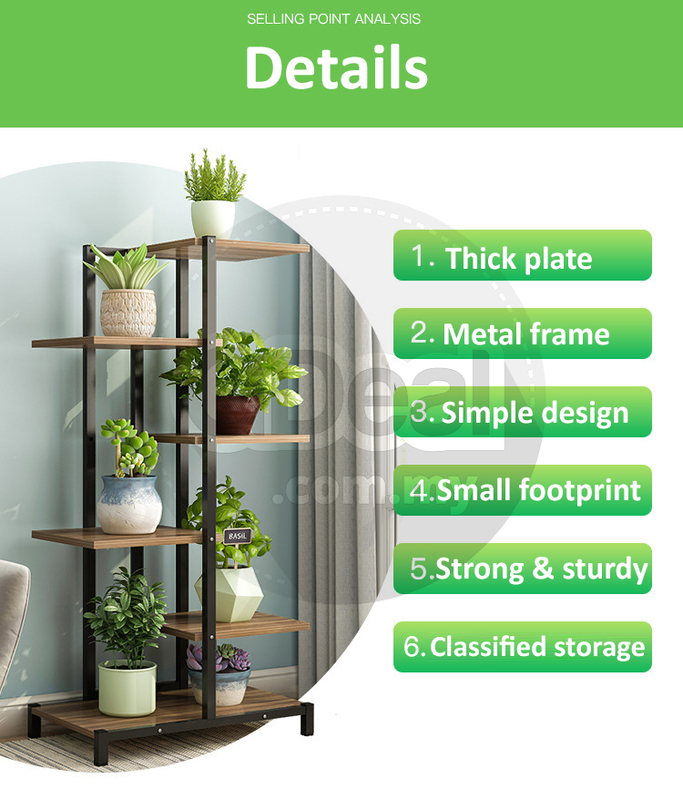 This shelf provides a lot of extra space without taking up all of your space. 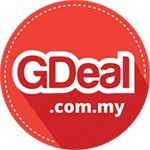 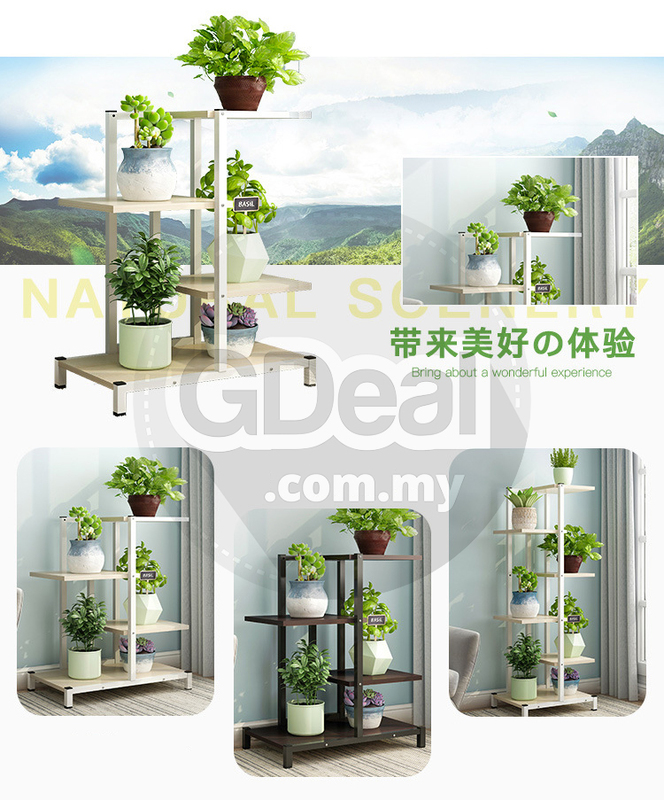 Made of solid wood, firm and durable in use. 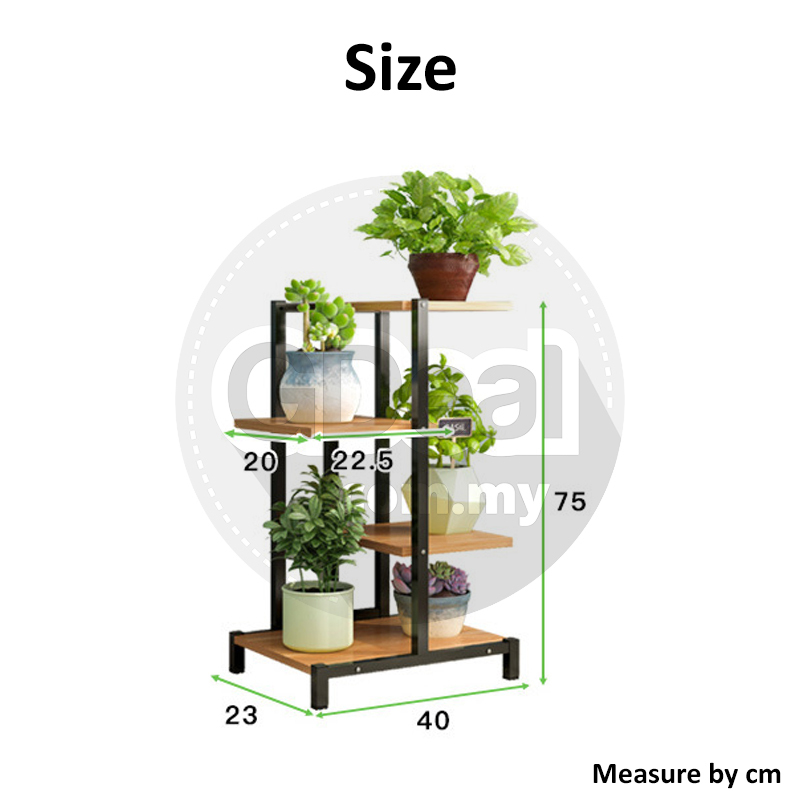 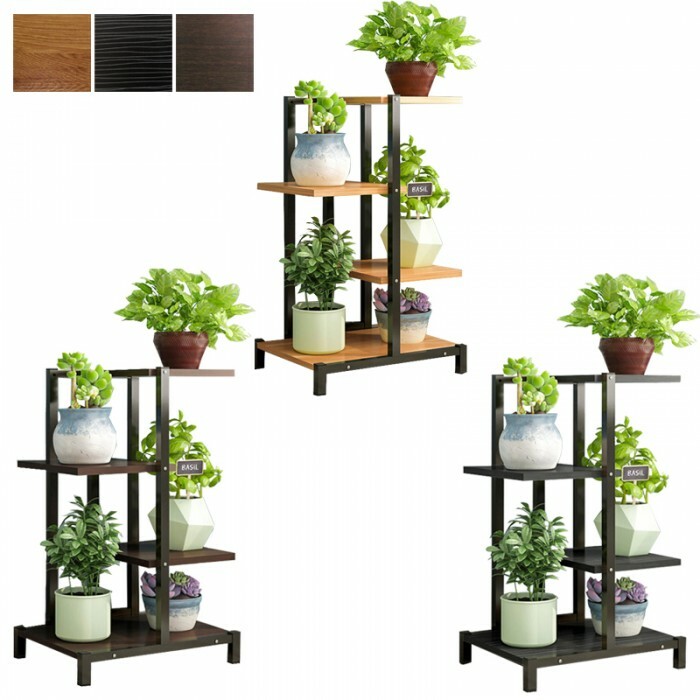 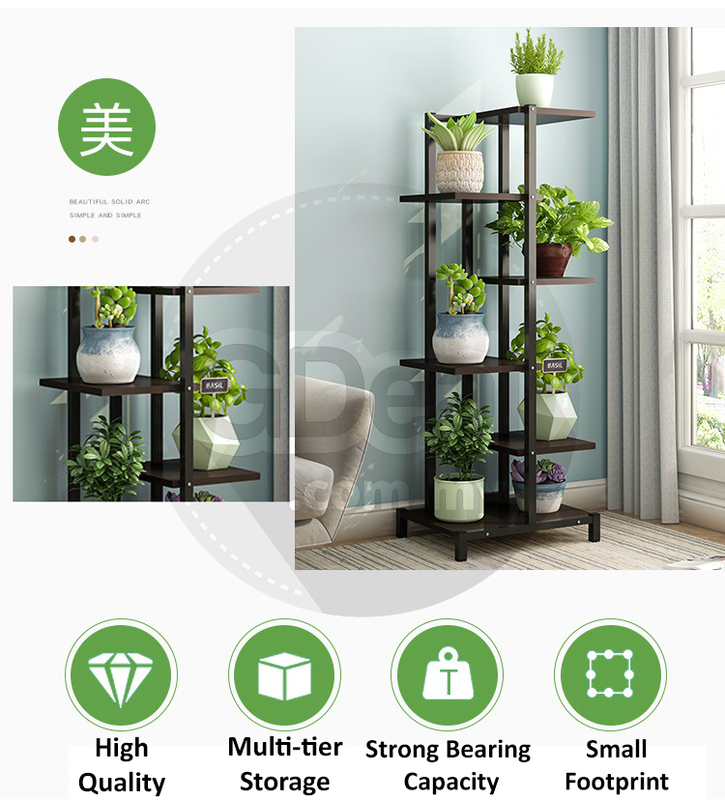 Multiple tier large capacity structure can display a variety of plant and flowers with distinct layered sense. 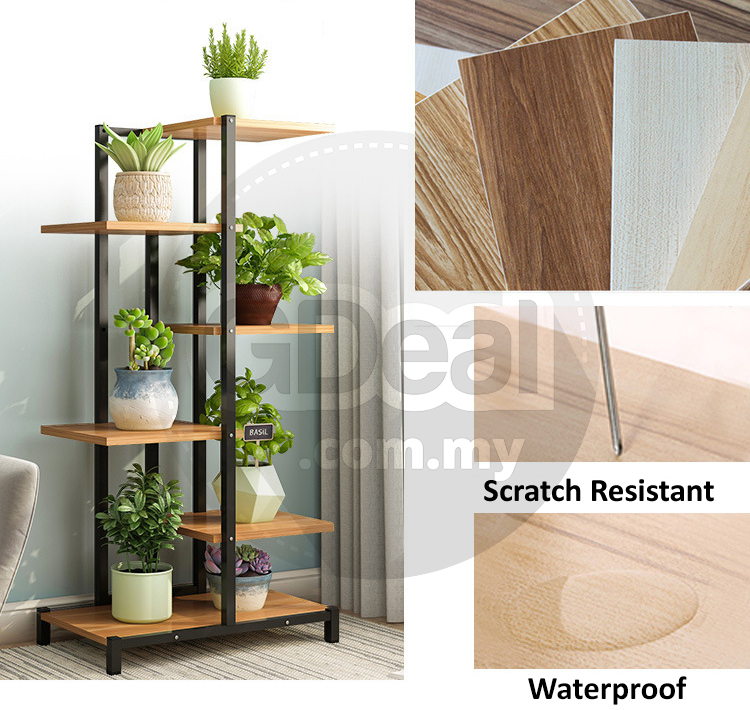 Thickening wood plates strengthen load bearing capacity. 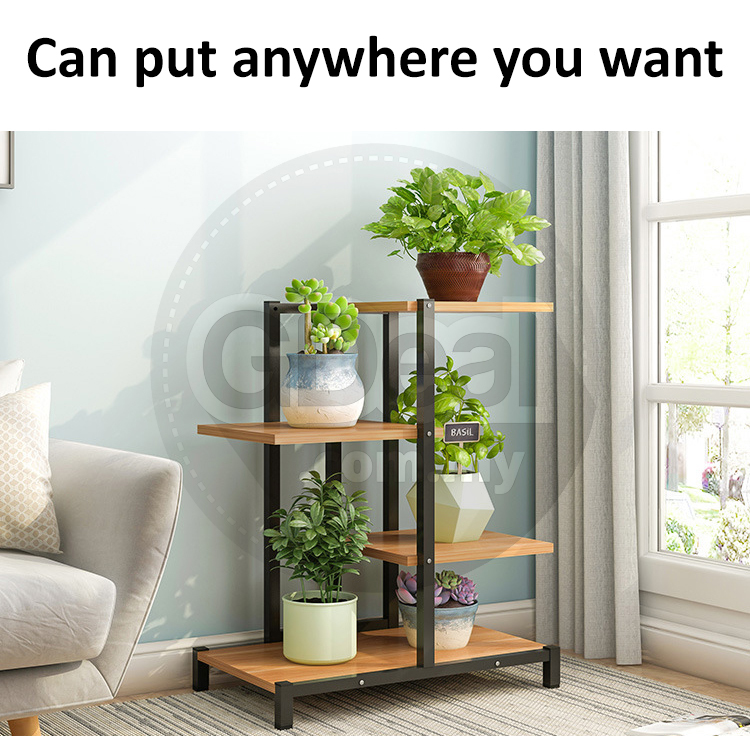 Fixed with metal screws, firm construction, no shaking. 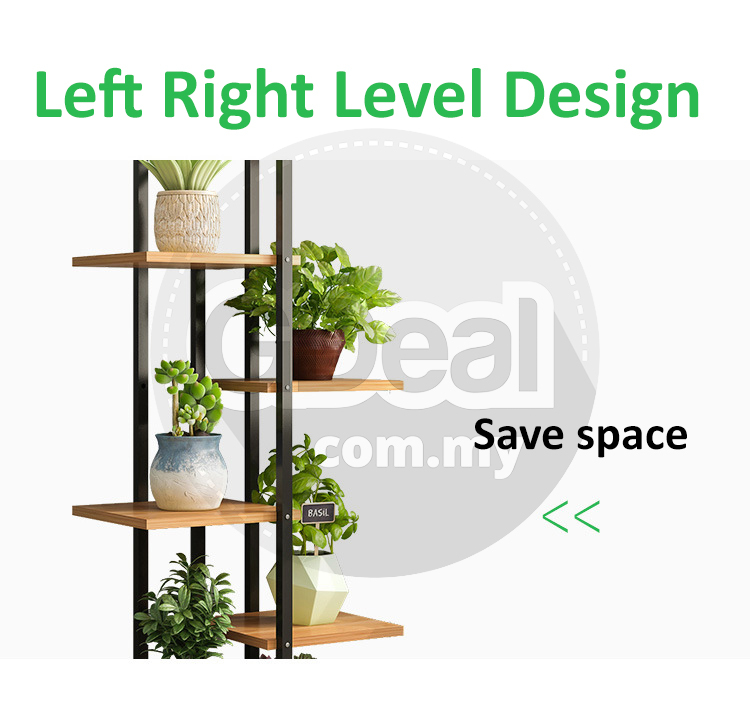 Ideal for the decoration in various places such as bedroom, study, office, balcony, garden, restaurant and more.